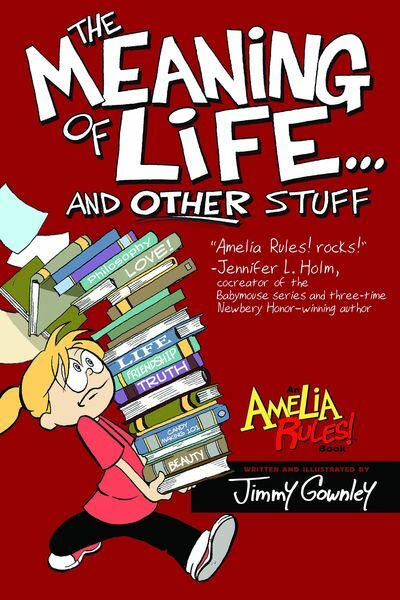 Some things in life seem so broken, they can't possibly be fixed, and just about everything is falling apart for Amelia. Aunt Tanner is away on tour; Amelia's spending more time in the principal's office; Joan's dad is injured just before he is supposed to come home; and Amelia's friends all seem to be moving in different directions. Amelia thinks G.A.S.P. 's clubhouse is beyond repair, but Turnip Brain says that when that happens, you need to pick up the pieces and make something new. Soon, Amelia sees the wisdom in Turnip Brain's words and realizes that things are not always as they seem and that the glue that allows us to make new things out of the old is love.